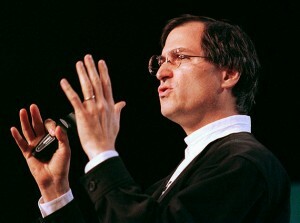 Twelve years to the day after resigning from Apple, Steve Jobs is named Interim CEO of Apple. Only seven months earlier, Jobs’ company NeXT was purchased by Apple and just two months earlier Gil Amelio resigned as Apple CEO. Much of the technology acquired with the purchase of NeXT was used to build the Mac OS X operating system, which became the core of the iOS operating system that runs the iPhone and iPad.